It’s been almost 10 years since Silversun Pickups appeared with debut record Carnavas, drawing quick comparisons to buzzsaw-guitar ’90s bands like Smashing Pumpkins. But across the three ensuing records – 2009’s fervent and scintillating Swoon, 2012’s expansive and anthemic Neck of the Woods and their new experimental rock offering Better Nature – the LA quartet has continued to spread their sonic wings. This desire to morph their songwriting, and explore and introduce fresh musical ideas, is most evident on Better Nature. Working again with Jacknife Lee, who produced Neck, and Grammy-award winning mix engineer Alan Moulder, Silversun Pickups’s fourth album shimmers with their most studio-produced sheen. The songs speak to a desire for broad, propulsive layers of texture, drawing on Chris Guanlao monstrous drumming as a secret weapon instead of their trademark guitar. On tracks like ‘Connection’, Joe Lester’s throbbing synths and swells of keyboards drown out guitarist and singer Brian Aubert’s chords. The arrangement flirts with oppression but stays dynamic enough to be interesting. And dynamics remain the most engaging aspect of the band’s music. A traditional approach to melding instruments has been blurred on Better Nature, with synths and guitars manipulated in the studio to be almost indistinguishable, creating futuristic and melodic buzzes and pulsing waves. Although they have ventured into potentially polarising territory, one thing remains true. Very few modern, popular rock bands have the ability to craft dark, beguiling mood and atmosphere like Silversun Pickups. They remain a cinematic affair. Aubert’s sharp, haunted vocals are always evocative. His aching, fragile delivery exudes pain and longing, which builds tension on ‘Ragamuffin”s slow-building clouds of synth, and his image-rich lyrics and ability to craft a climactic rock stomper are captured on the album’s six-minute highlight ‘Tapedeck’. 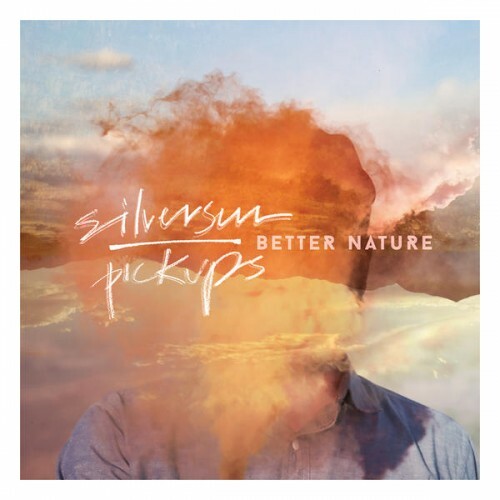 Silversun Pickups have challenged both themselves and their listeners on Better Nature. For some the record will require repeated listens, for others it will demand them – and there are rewards for those that persevere. But even both sides of the coin might agree that the near-perfect production on this record is ultimately alienating. The edge of the quartet’s previous records – that irresistibly jagged edge that gave their music its immediacy – has been laminated over with Lee at the helm. As a result, no song takes you by the throat in the same way as Swoon‘s ‘The Royal We’ or ‘Panic Switch’, or Neck‘s ‘Mean Spirits’. Overall, Better Nature lacks the sense of urgency and danger – even anger – that they’re capable of. This is, of course, intentional. But, luckily for Silversun Pickups and their immense talent, what a fan gets out of Better Nature is based purely on personal taste. The record’s faults lie only in its lack of faults. They remain challenging and effortless exponents of pop-rock hooks and taught energy. Most importantly, Silversun Pickups remain interesting and, deservedly, music fans will want to see what they come up with next. Greatly enjoyed the write up. I got to see them live recently and I appreciate them a whole lot more now.